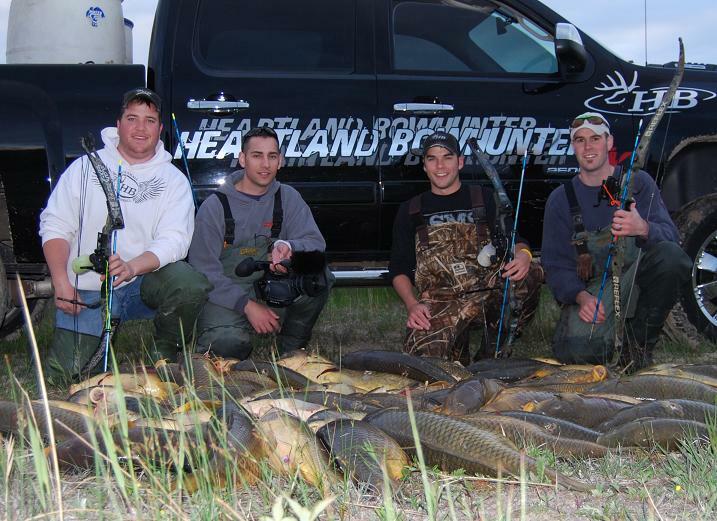 Mike and I went out yesterday afternoon for a little bowfishing action with Preston and Al from Own The Zone TV. I think the pictures tell the story pretty well! We bowfished the Saganaw Bay in the south end of Lake Huron. It was like no other bowfishing that I had ever seen before. We actually waded in the bay in 1-2 feet of water and layed the smackdown on 64 carp in only 2 hours. 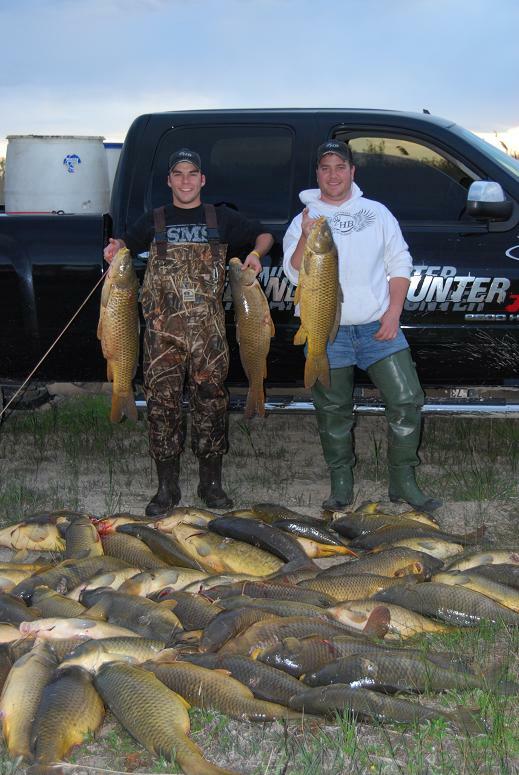 Preston and Al spoiled us big time and they estimated that we shot 700lbs of carp! A special thanks goes out to them for taking us and showing us what Michigan bowfishing is all about! I think we will definitely be back to try it again in the future! SON, now thats some fish. Man they are some hoss’es. Thats something im getting ready to do this summer also. good way to kill time and enjoy yourself in the off season. did you guys video that?? awesome…. Yeah, Preston and Al were nice enough to video it for us. The footage is great! Way to mow em down boy’s…Wish I was there with you. Looks like Preston and Al put you on them.